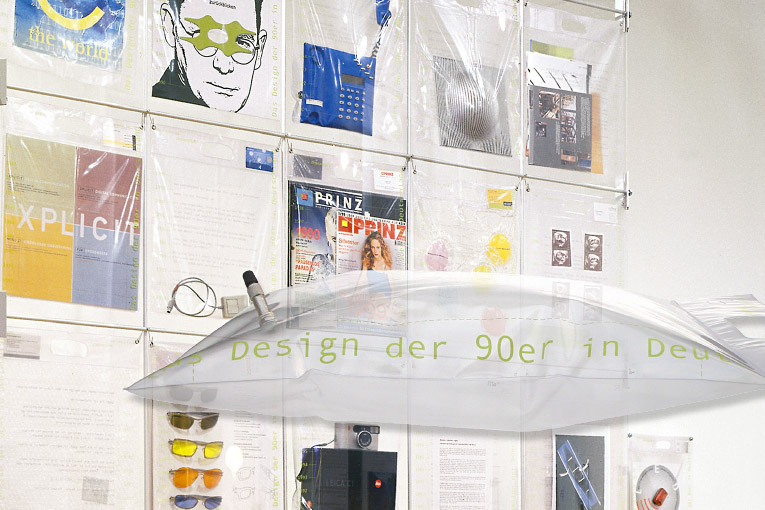 What characterises 90s design in Germany? To answer this question, we sent out a specially designed bag to design offices, design theorists and design-based businesses which they could use to make a statement. The responses reflect the diversity of approaches. 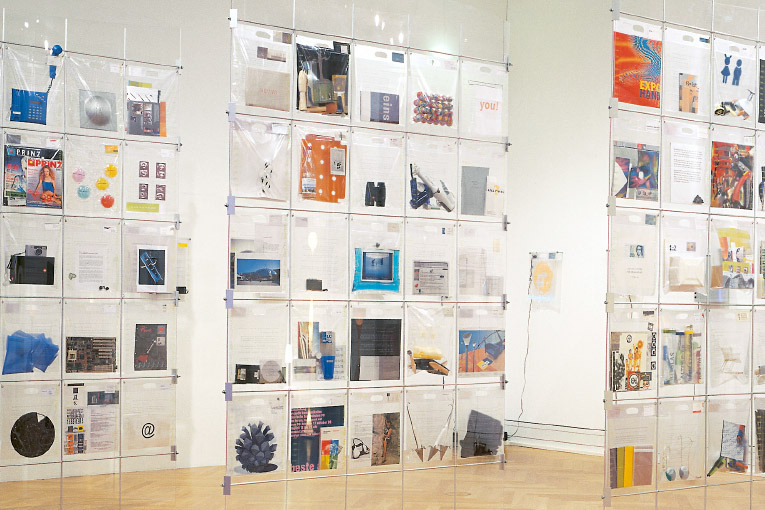 The plastic shopping bag – a reference to design consumption in the 90s – is also a display element at the exhibition; presented in light transparent panels.